Disasters, loss, unrequited love, and survival instincts are all found in this remarkable short story collection spanning many eras and locations. The inherent difficulty of a short story and those who write them can begin and end with the very structure itself. Some examples are too precious for their own good, some are wild, unwieldy, and hypnotized by their own styles, and some are classical replicas of old masters (Hemingway, Fitzgerald, and on and on.) Short stories can be impossible to contain or irrelevant in their spare minimalism. They can render a reader overwhelmed with ecstasy or exhausted by pretentious mediocrity. It's a format that will live and die solely by the grace and direction of the wizard behind the curtain, fiddling with the dials and frequency in order for the magic to appear. 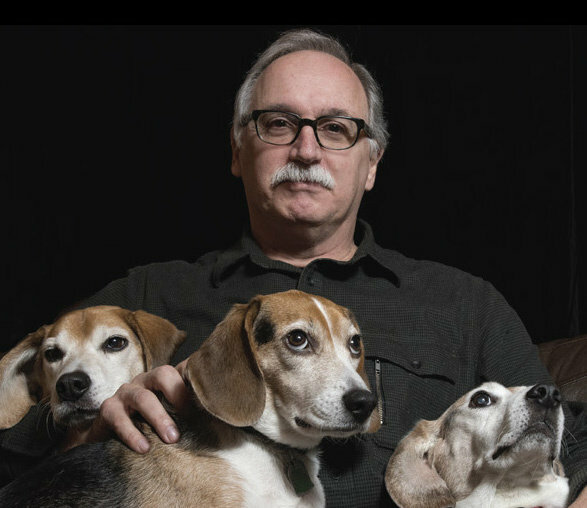 There are those who fabricate from the unpredictable elements of thin air to make their marks, and then there's Jim Shepard, a writer whose work has always seemed to be the result of extensive research. Consider the story collections Like You'd Understand Anyway (Knopf, 2007) and the novel The Book of Aron (Knopf, 2016) about such topics as natural disasters and -- in the case of the novel -- the Holocaust. Shepard is of the greatest literary magicians out there. The fact that he draws extensively from so much source material does not make it any less magical. Instead, Shepard legitimizes his topics through a seemingly mundane accounting of details in his careful research. This is a characteristic of Shepard's 2017 collection The World to Come that will probably most surprise the reader. Just when the urge comes to skim through the technical background information in some of these stories to reach the payoff, Shepard pulls a magical turn that will render even the most skeptical reader breathless. Five of the stories in this collection are first-person narratives, four are second person, and the smallest jewel ("Cretan Love Song") is in second person. This might seem a trivial characteristic to point out, but it's an indication of Shepard's control and vision. Take "Cretan Love Song", a three-page wonder in which we're asked to place ourselves in the Minoan Civilization, 1600 BC. A volcanic concussion from an island 70 miles away has knocked us to our knees. There's promise and hope and an understanding that life is best appreciated by embracing those around us, yet there's always doom at the end of the line, always fate to play itself out. Your time was here, and now it's gone. "An unteachable portion of me still seeks to record everything in this log… I have always been unfit for the company of men." "Safety Tips for Living Alone" is a heartbreaking account of the 1961 Texas Tower 4 disaster, where 19 wives tragically became widows. Shepard brings us into the lives of most of them shortly before, during, and after the event. It can be a bit jarring, but the details are heartbreaking. Five months after the disaster, a widow receives a visit from somebody who has found her husband's billfold. Of the women, Shepard writes: "Each of them despised herself for her own contributions to the disaster." The story "Intimacy" is a similarly structured narrative about Brisbane settlers who never stood a chance against a storm "…formed by monstrous whirlpools of air… that came scything down out of the Coral Sea… with such ferocity that…meteorologists… reported their findings in expressions of awe and horror…" These characters are never able to outrun these horrors, and they are always painfully human. In a later story about imminent disaster ("Telemachus") the man telling the story about his doomed time in 1942 on the submarine notes: "I carry what I want to see in my head. Everything else feels like clutter." That seems to be a skill pivotal to many of the characters telling these stories. They remember everything. They are "…tormented by septic heat sores…" and an assortment of other problems as they navigate impossibly close quarters. The reader shares the narrator's exhilaration. He had been allowed a view through the periscope lens and the simple wonder of the "…kinship and coordination…" he felt seeing a school of porpoises was enough to keep him going. "…we ride our lives' trajectories as swallows sometimes race from fair weather to foul…the only world I choose to regard is myself." Shepard's characters might sound selfish with that line, but they're not. They're explorers and no matter their fate (more often than not tragic) they are survivors. Even "Positive Train Control", an account of a train disaster, allows for its young freight train conductor more than a modicum of strength before the inevitable doom. He was shiftless, aimless, 29-years-old and still living at home, but this job gave him purpose. The more domestic-based, contemporary stories ("Wall-to-wall counseling" and "Forcing Joy on young people") are outliers in this collection only through time setting. Shepard cares about his characters. He won't let them go down without a fight. "When I was still a little girl I used to hope God with a voice as loud as thunder would proclaim that all my sins were forgiven. Now I know I can wait until doomsday and never hear any such thing…"
"I'm a library without books. I'm a sea of agitation and trepidation and grief." In the end, she imagines things as they were, things as they should have been. Her daughter is still alive. Her love is still nearby. Shepard repeats the verb "imagine" and puts it in various scenarios. The reader leaves the characters of "The World to Come" all too aware of the pain, grateful this woman is still with us but convinced that death would have been preferable to the pain of this loss. 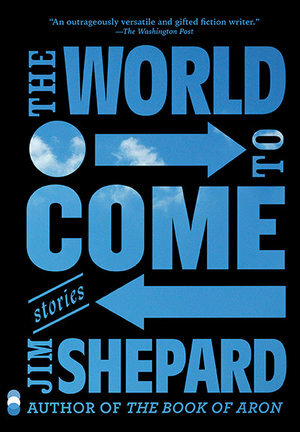 As a full collection, The World to Come is another magisterial, precise, masterfully researched and crafted offering from Shepard that resonates with a respect for the dead and a beautifully elegiac style from first page to the finish. Read it in any form that seems reasonable, but save the title selection for the end. That way, it will stay longer.